iPhones are renown for their security -- to the point that even law enforcement agencies have trouble accessing their contents. An Israeli firm, Cellebrite, became well-known when it transpired that hacking tools it made were used by the US government to crack locked iPhones and now its hacking tools are available to buy on eBay. Facebook has awarded a prize of $100,000 to a team of security researchers in Georgia for finding a new class of vulnerabilities in browser-based C++ programs. This year’s prize winners; PhD students Byoungyoung Lee and Chengyu Song, along with Professors Taesoo Kim and Wenke Lee revealed a new class of C++ vulnerabilities and introduced CaVeR, a runtime bad-casting detection tool. CaVeR performs instrumentation at compile time and uses a new runtime type tracing mechanism—the type hierarchy table—to overcome the limitation of existing approaches and efficiently verify type casting dynamically. The researchers claim to have applied CAVER to the code of the Chromium and Firefox browsers and discovered 11 previously unknown security vulnerabilities: nine in GNU libstdc++ and two in Firefox. Facebook Security Engineering Manager Ioannis Papagiannis explains, ““C++ supports two major different types of casting operators to convert one type of data into another: static and dynamic casts. Dynamic casts are checked at runtime for correctness, but they also incur a performance overhead. People typically prefer to use static casts because they avoid that overhead, but if you cast to the wrong type using a static cast, the program may end up creating a pointer that can point past the memory allocated to a particular object. That pointer can then be used to corrupt the memory of the process." Papagiannis said that CAVER makes it possible to have the best of both worlds: using static type casting to improve performance, but identifying type casting vulnerabilities that can then be addressed. Will Cyber Security Companies shift their Headquarters out of US? Until now nuclear, radiological, chemical and biological weapons considered to be a Weapon of Mass Destruction(WMD). The Bureau of Industry and Security (BIS), an agency of the United States Department of Commerce that deals with issues involving national security and high technology, is proposing to classify cyber security tools as weapons of War in an attempt to control the distribution. 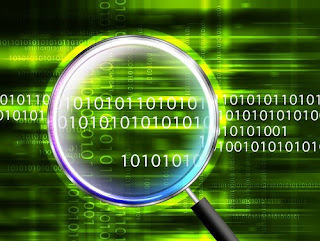 The tools used for extraction of data or information, from a computer or network-capable device, or the modification of system or user data, will come under this law and is being classified as Intrusion software. Also, the tools designed to avoid detection by 'monitoring tools'( Antivirus, IDS/IPS,End point security products) will be considered as a weapon. Any penetration testing products designed to identify security Vulnerabilities of computers and network-capable devices fall under this category. "The proposal is not beneficial. Most vulnerability scanners and penetration testing products come under it. The proposal means tools from US companies which have been used to do assessments and audits in corporate will need to go through the clearance. It could also lead to corporate getting tracked" says J.Prasanna, founder of Cyber Security and Privacy Foundation(CSPF). Most of these Cyber Security firms either should convince their world wide clients to go through the process or shift their head quarter out of USA. Prasanna pointed out that US government tried to stop the export of cryptography in the past. But, Russian, European and Israeli companies got advantage by the cryptography restriction. He said that the new proposal is a bad news for the cyber security researchers. If it becomes a law, it will force them to find a new way to beat the Cyber Criminals. "Hackers are already may steps ahead of us. Some tools like canvas and Metasploit Pro are important tool for penetration testing" said Prasanna. Thomas Dullien, Google Researcher, said "addition of exploits to the Wassenaar arrangement is an egregious mistake for anyone that cares about a more secure and less surveilled Internet" in his personal blog. Rapid7, a Boston-based cybersecurity firm, well known for its Metasploit Pentesting framework, said that they are investigating implications of Wassenaar for Metasploit and security research, and working on comments for the consultation. 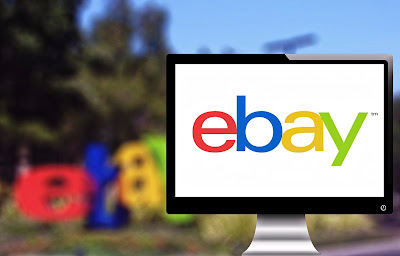 According to the proposal, the governments of Australia, Canada, New Zealand or the UK will get favorable treatment for license applications, as they have partnered with the US on Cyber Security Policy and issues. The BIS is seeking comments before 20th July 2015 on the proposed rule. You can submit the comments here. Just a day after security researcher Stefan Viehbock released details of vulnerabilities in the WiFi Protected Setup (WPS) protocol that allows attackers to recover WPA/WPA2 passphrases in a matter of hour, a security firm "Tactical Network Solutions" has published an open-source tool capable of exploiting the vulnerability. Reaver is WPS attack tool ,capable of breaking WPS pins and recovering the plain text WPA/WPA2 passphrase of the target access point in approximately 4-10 hours (attack time varies based on the access point). SecManiac released The Social-Engineer Toolkit (SET) v2.3 with code name "Eclipse". It is open source tool , written in python, solely focuses on attacking the human element of penetration testing. It’s main purpose is to augment and simulate social-engineering attacks and allow the tester to effectively test how a targeted attack may succeed. The SET is designed to make complex social engineering tasks relatively simple for you by allowing you to utilize a robust framework for penetration tests. fixed an annoying bug that has been around for a number of versions, finally tracked down..some occasions where it would show “Moving payload to website”, you couldn’t control-c out to exit and would have to close the console window. This has been resolved. Sqlsus is an open source MySQL injection and takeover tool, written in perl. It is used to test the vulnerability of web application. It uses stacked subqueries and an powerful blind injection algorithm to maximise the data gathered per web server hit.Using multithreading on top of that, sqlsus is an extremely fast database dumper, be it for inband or blind injection. Sqlsus now supports time-based blind injection and automatically detects web server / suhosin / etc.. lentgh restrictions. Added time-based blind injection support (added option "blind_sleep", and renamed "string_to_match" to "blind_string"). It is now possible to force sqlsus to exit when it's hanging (i.e. : retrieving data), by hitting Ctrl-C more than twice. clone now uses count(*) if available (set by "get count" / "get db"), instead of using fetch-ahead. In blind mode, "start" will now test if things work the way they should, by injecting 2 queries : one true and one false. sqlsus now prints what configuration options are overriden (when a saved value differs from the configuration file). Fixed some misuse of the object returned by LWP UserAgent that could trigger a perl error. Fixed a useless memory consumption in the IPC that could trigger an "out of memory" error (since 0.5RC1). Removed a false error display in backdoor sql mode when using INSERT, UPDATE, DELETE, DROP, etc..
Today the German hacker group “The Hacker’s Choice” officially released a new DDoS tool. The tool exploits a weakness in SSL to kick a server off the Internet. Technical details can be found at http://www.thc.org/thc-ssl-dos. “We decided to make the official release after realizing that this tool leaked to the public a couple of months ago” said a member of THC who wants to remain anonymous. The tool departs from traditional DDoS tools: It does not require any bandwidth and just a single attack computer (“bot”). The THC-SSL-DOS attack is en par with other resource exhausting DDoS attacks. Some of those methods played a vital role in demonstrations against oppressive governments (like the DDoS attack against Iran’s leader) and against companies that violate free speech (like the DDoS attack against Mastercard for closing Wikileak’s non-profit donation account because of an alleged typo/misspelling in the application form). “Here at THC the rights of the citizen and the freedom of speech are at the core of our research”, says a member of THC in a private interview this morning. 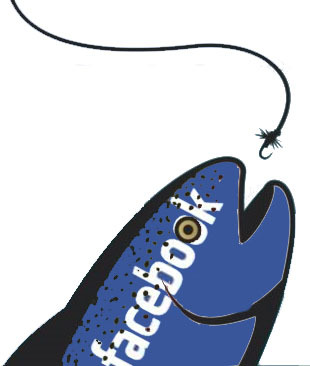 “We are hoping that the fishy security in SSL does not go unnoticed. The industry should step in to fix the problem so that citizens are safe and secure again. SSL is using an aging method of protecting private data which is complex, unnecessary and not fit for the 21st century.”, Says a THC member, referring to 3 major vulnerabilities disclosed in SSL over the past 3 years. “We warned in 2002 about giving hundreds of commercial companies (so called Certification Authorities) a master key to ALL SSL traffic.”, says Fred Mauer, a senior cryptographer at THC. “Only a real genius can come up with such an idea!”. “And last but not least the immense complexity of SSL Renegotiation strikes again in 2011 with the release of THC-SSL-DOS.”. “It’s time for a new security model that adequately protects the citizens.”. The THC-SSL-DOS tool is a Proof Of Concept tool to disclose fishy security in SSL. It works great if the server supports SSL Renegotiation. It still works if SSL Renegotiation is not supported but requires some modifications and more bots before an effect can be seen. Our tests reveal that the average server can be taken down from a single IBM laptop through a standard DSL connection. Taking on larger server farms who make use of SSL Load balancer required 20 average size laptops and about 120kbit/sec of traffic. All in all superb results. SSL Renegotiation was invented to renegotiate the key material of an SSL connection. This feature is rarely used. In fact we could not find any software that uses SSL Renegotiation. Yet it’s enabled by default by most servers. An old saying comes true all over again: Complexity is the enemy of security. “Renegotiating Key material is a stupid idea from a cryptography standpoint. If you are not happy with the key material negotiated at the start of the session then the session should be re-established and not re-negotiated”, says THC. "Optima DDOS 10a Botnet" full version is available to download in Hacker forums. In this new version 10a according to the author was raised in secrecy bot system and optimized grabber passwords. It cost about $ 600 worth. DDoS attacks of three types - http flood, icmp-flood, syn-flood. Theft of stored passwords from some applications installed on the victim's system, details below. Opening on the infected system proxy Socks5. The possibility of cheating various counters on the websites (http-access the sites). Hidden download and run the specified file to the affected systems. Weight bot - 95.5 kb, written in Delphi. PuttyHijack is a POC tool that injects a dll into the Putty process to hijack an existing, or soon to be created, connection. This can be useful during penetration tests when a windows box that has been compromised is used to SSH/Telnet into other servers. The injected DLL installs hooks and creates a socket in guest operating system for a callback connection that is then used for input/output redirection. PuttyHijack does not kill the current connection, and will cleanly uninject if the socket or process is stopped. Leaves no race for further analysis. Start a nc listener on some fully controlled machine. (*-brute) from the "auth" category into a new "brute"
category. Nmap's brute force capabilities have grown tremendously! tracked down the problem and provided the fix. o [NSE] Made irc-info.nse handle the case where the MOTD is missing. Now Firebug 1.9a3 available , compatible with Firefox 5 to Firefox 9(nightly). if you want to know what issues fixed, follow this link. Some highlights from this release. 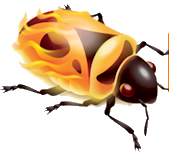 Also, Firebug Working Group has a new member: Stampolidis Anastasios (aka Tasos). Tasos has been long time Firebug contributor helping with issues in various areas and FWG is pleased to have him on board! Visual DuxDebugger is a debugger disassembler for Windows 64-bit. Earlier today, They've released John the Ripper 1.7.8-jumbo-7. sshtrix is a very fast multithreaded SSH login cracker. It supports SSHv1 and SSHv2. sshtrix was designed to automate rapid bruteforce attacks against SSH authentification screens. Unlike other public tools, the aim is to keep it simple, stable, fast and modular. With its clean code design, it is easy to extend the code to a framework or to fork it against protocols of your choice. In fact, sshtrix is a fork of my own generic login cracker framework. If you know Firesheep or Faceniff, you probably know what this is about – one-click session hijacking using your android smartphone or tablet computer. If you do not know one of these tools, I’ll try to explain what DroidSheep is. Maybe you know Bob. Bob is a wellknown person and Bob loves coffee. Every morning, he takes his laptop and visits one the famous green coffee bars, has a “grande vanilla latte” and writes messages to his facebook friends. For doing that, Bob uses the coffee bars WiFi – because it´s free and fast. One Morning, Bob is just writing a message to his girlfriend, Eve enters the coffee bar. Eve has an Android phone and Eve uses DroidSheep. After ordering a “venti caramel macchiato”, Eve sits down, takes her phone and starts browsing facebook. Using Bobs identity. She can watch at his friends. Read his messages. Write messages. Write wall posts. Remove friends. Delete Bobs account. Without getting ever in touch with Bob. When Bob is using the WiFi, his laptop sends all the data intended to be received by facebook, over the air to the coffee bars wireless router. As “over the air” means “captureable by everybody”, Eve (or her phone) can read all the data sent by Bob. As some data is encrypted before being sent, she cannot read Bobs facebook password, but in order not to make Bob enter his password after each click, facebook sends Bob a so called “session id” after logging in, which Bob sends with each interaction, making it possible for facebook to identify Bob. Usually only Bob knows this id, as he receives it encrypted. But when Bob uses the coffee bars WiFi, he spreads his session id over the air to everybody. So Eve takes this session id and uses it as hers – and facebook cannot determine, if Bob or Eve uses this id. DroidSheep makes it easy to use for everybody. Just start DroidSheep, click the START button and wait until someone uses one of the supported websites. Jumping on his session simply needs one more click. That´s it. DroidSheep now supports nearly all Websites using Cookies! With Version 5, DroidSheep got the new “generic”-Mode! Simply enable it, and DroidSheep will capture all Accounts in the network!! Which pages does DroidSheep support? DroidSheep now supports OPEN, WEP, WPA and WPA2 secured networks. For WPA/WPA2 it uses an DNS-Spoofing attack. When you use web applications, they usually require you to enter your credentials in order to verify your identity. To avoid entering the credentials at every action you do, most web applications use sessions where you need to log-in once. A sessions gets identified by a session token which is in possession of the user and is sent together with any subsequent request within the HTTP packets. DroidSheep reads all the packets sent via the wireless network and captures this session token, what allows you to use this session token as yours and make the web application think you are the person identified by this token. There is no possibility for the server to determine if you’re the correct person or not. 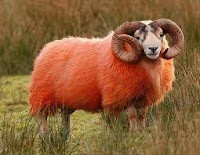 DroidSheep is NOT INTENDED TO STEAL IDENTITIES. It shall show the weak security properties of big websites just like Facebook. Please be always aware of what you’re doing. I AM NOT RESPONSIBLE FOR ANY DAMAGES THAT HAPPEN BY USING THIS SOFTWARE! Download it from the “GET-IT” section using your phones browser and open the file — your phone should ask for installing the app. Friends, if you get invitation from stranger in facebook, don't accept it. Even if you know the person, please verify whether profile is real or not. A new hacking tool is available that will send friend request to you. If you accept, it can steal all info ,photos,friend list from you. Think twice before accepting invitation. FbPwn: A cross-platform Java based Facebook profile dumper, sends friend requests to a list of Facebook profiles, and polls for the acceptance notification. Once the victim accepts the invitation, it dumps all their information,photos and friend list to a local folder. A typical scenario is to gather the information from a user profile. The plugins are just a series of normal operations on FB, automated to increase the chance of you getting the info. Typically, first you create a new blank account for the purpose of the test. Then, the friending plugin works first, by adding all the friends of the victim (to have some common friends). Then the clonning plugin asks you to choose one of the victims friends. The cloning plugin clones only the display picture and the display name of the chosen friend of victim and set it to the authenticated account. Afterwards, a friend request is sent to the victim's account. The dumper polls waiting for the friend to accept. As soon as the victim accepts the friend request, the dumper starts to save all accessable HTML pages (info, images, tags, ...etc) for offline examining. After a a few minutes, probably the victim will unfriend the fake account after he/she figures out it's a fake, but probably it's too late! All modules work on a selected profile URL (we'll call him bob), using a valid authenticated account (we'll call him mallory). - AddVictimFriends: Request to add some or all friends of bob to increase the chance of bob accepting any future requests, after he finds that you have common friends. - ProfileCloner: A list of all bob's friends is displayed, you choose one of them (we'll call him andy). FBPwn will change mallory's display picture, and basic info to match andy's. This will generate more chance that bob accepts requests from mallory as he thinks he is accepting from andy. Eventually bob will realize this is not andy's account, but probably it would be too late as all his info are already saved for offline checking by mallory. - CheckFriendRequest: Check if mallory is already friend of bob, then just end execution. If not, the module tries to add bob as as a friend and poll waiting for him to accept. The module will not stop executing until the friend request is accepted. - DumpFriends: Accessable friends of bob is saved for offline viewing. The output of the module depends on other modues, if mallory is not a friend of bob yet, the data might not be accessable and nothing will be dumped. - DumpImages: Accessable images (tagged and albums) are saved for offline viewing. Same limitations of dump friends applies. - DumpInfo: Accessable basic info are saved for offline viewing. Same limitations of dump friends applies. Security Professionals developed Firesheep(used to hack FB accounts using Wi-Fi further to catch the Google History cache. So Hackers are able to find out what you are searching for. Based on your search, they may find some other your information also. Once they know what is your interest , they can trick you and launch malicious attacks or adwares. Thank god, it won't allow hackers to steal the google accounts. However, it does expose private data. The researchers have already alerted the Google Security Team who are working on a fix. In the meantime they recommend making sure you’re not logged in to your Google account when you’re using an unsecured network. For more information on this research you can download Toubiana and Verdot's paper "Show Me Your Cookie And I Will Tell You Who You Are" from arxiv.org. You might also like to watch our video showing you how to counter Firesheep and its friends, even on unencrypted WiFi. Use Encrypted google search to protect your web history. If you don't use Web Search History or you've never heard of it you may want to visit your search history page and disable it. Slow HTTP DoS attacks rely on the fact that the HTTP protocol, by design, requires requests to be completely received by the server before they are processed. If an HTTP request is not complete, or if the transfer rate is very low, the server keeps its resources busy waiting for the rest of the data. If the server keeps too many resources busy, this creates a denial of service. This tool is sending partial HTTP requests, trying to get denial of service from target HTTP server. 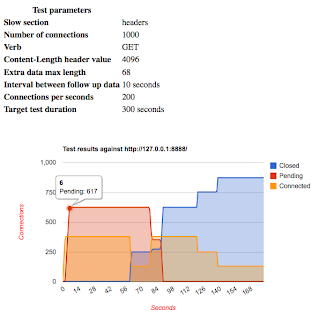 This tool actively tests if it's possible to acquire enough resources on HTTP server by slowing down requests to get denial of service at application layer. 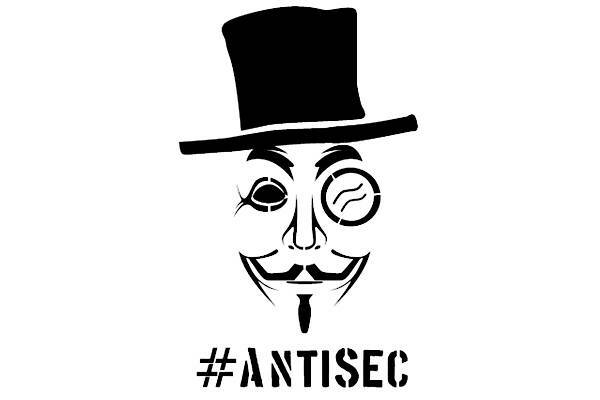 Anonymous hacktivists has developed a new DDOS tool named RefRef which is said to be replacement for the LOIC. LOIC( Low Orbit Ion Canon) is the tool used by anonymous supporters to launch the DDOS attack on targeted servers. However, Anonymous believe LOIC is the reason for their people getting arrested in the last year. So they thought to develop a new DDOS tool. 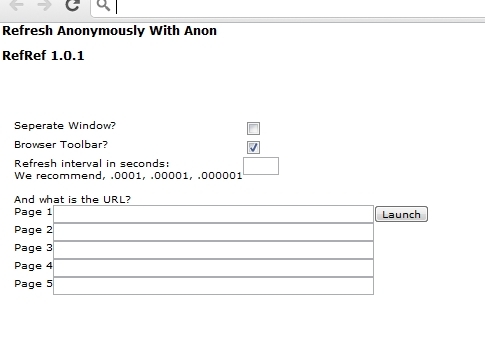 Anonymous said the tool will use the target server's own processing power against itself. It is planned to be released on September this year. Wireshark Team has released updated version 1.6.1 and 1.4.8 to fix the security flaw in previous versions. According to their security advisory, the previous versions 1.4.0 to 1.4.7 are vulnerable to Lucent/Ascend file parser and ANSI MAP vulnerabilities. "It may be possible to make Wireshark crash by injecting a series of malformed packets onto the wire or by convincing someone to read a malformed packet trace file" security advisory reads. The vulnerabilities have been patched in the 1.4.8 version.